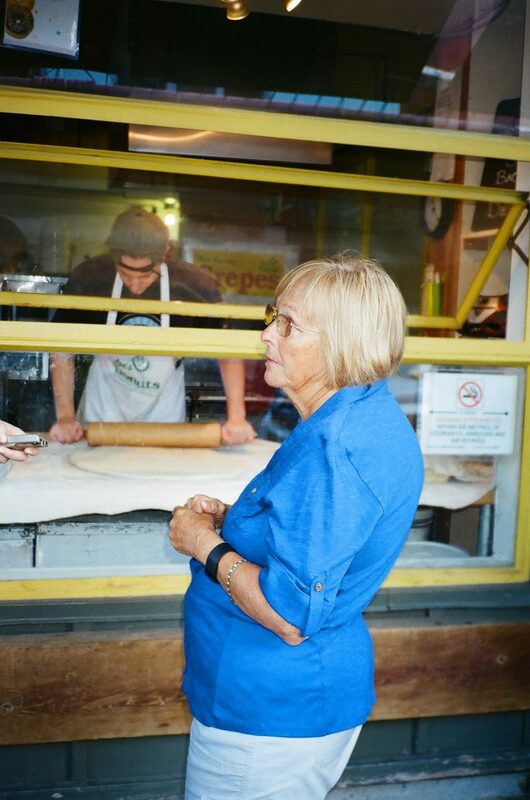 Welcome to Meet the Market: MONTECRISTO’s new digital series highlighting some of our favourite food purveyors at the Granville Island Public Market. It’s the smell that hits you first. 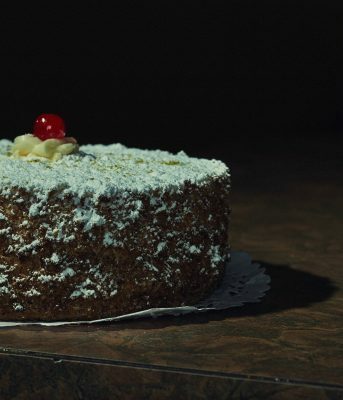 As you get closer and closer, that sweet scent of sugar is unmistakable in the air. It is an olfactory beacon: you have arrived at Lee’s Donuts. In an age of “artisanal” everything, Lee’s is an anomaly. 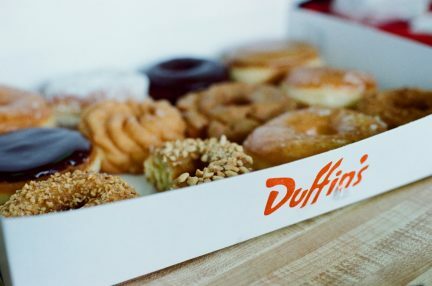 These donuts are not covered in rose petals or infused with vegan chocolate (although there is undoubtedly a place for that in foodie culture as well)—instead they are traditional, accessible baked goods that pay tribute to the classic Homer Simpson variety. 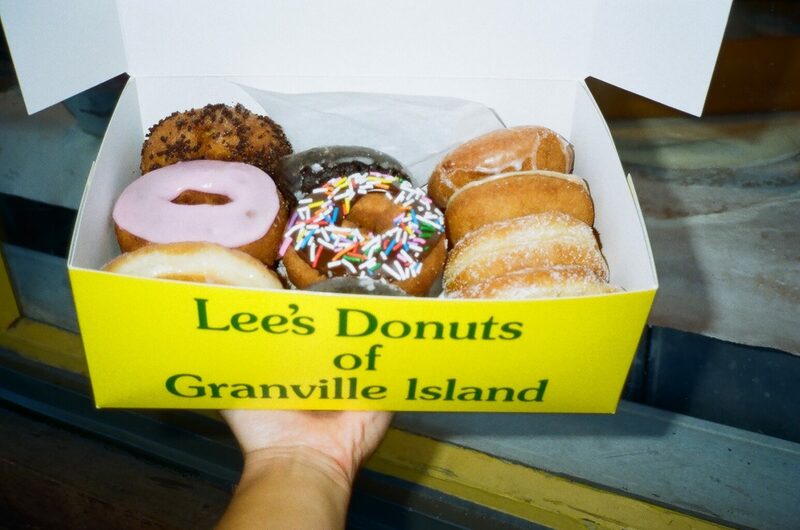 Lee’s has been making donuts the same way, in the same Granville Island Public Market location, since 1979. The most legendary Lee’s donut is the Honey Dip, which is covered in a house-made honey glaze. 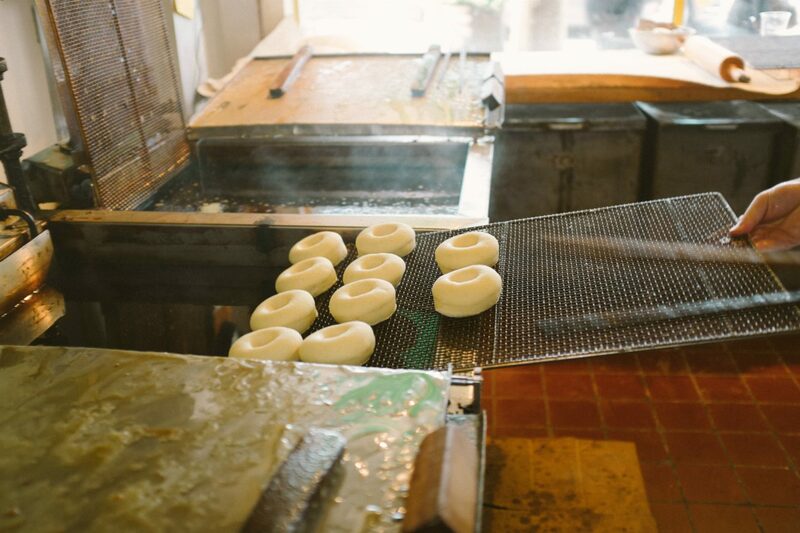 All donuts are fried in trans-fat-free vegetable shortening using fresh ingredients; it’s about simplicity and quality here. 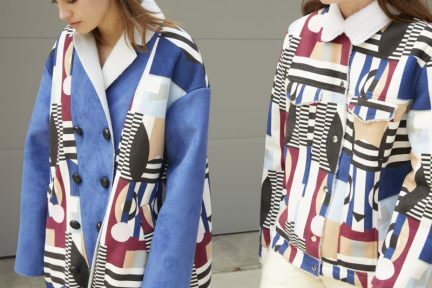 “We’ve stuck to the basics and I think that’s what people appreciate,” says Lee. “Everything is made fresh daily. Everything. 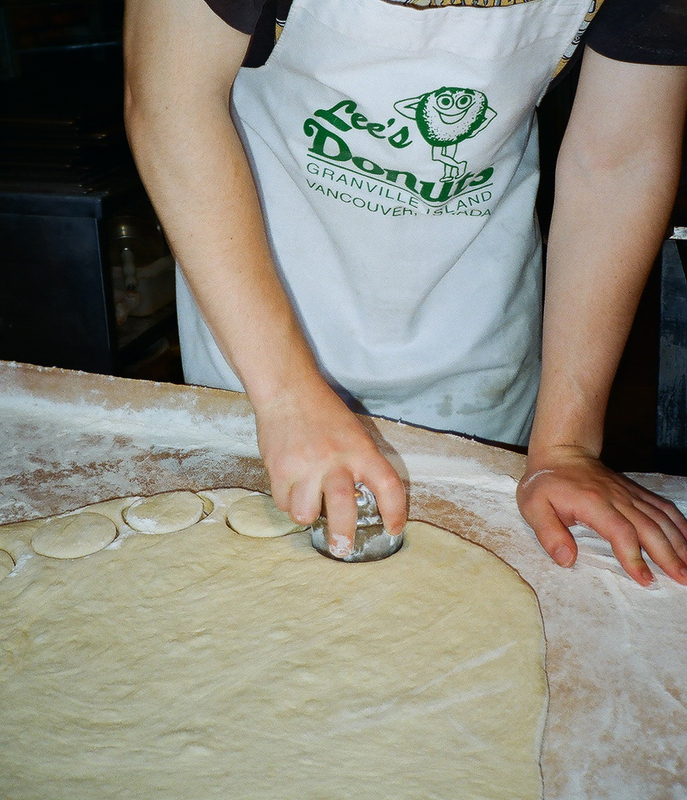 Everything’s made here onsite.” In a sense, Lee’s was way ahead of its time, providing handmade donuts to the Vancouver masses long before the treat became trendy. And thanks to its superior product, it has survived as one of the few original Granville Island market stalls. Sadly, Alan died in 2014, leaving Lee to run the business alone. “That’s been the tough part, but these guys have stuck with me,” she says, referring to her loyal staff, some of whom have been with her for decades. “And I’ve stuck with it. We just carry on. 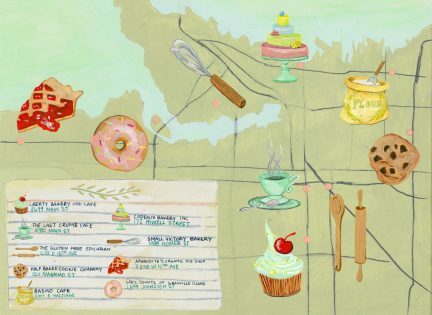 It’s his legacy, with all his formulas.” Donuts are so simple, so humble, so welcoming, and yet, there is something inherently special about them. Biting into a freshly baked Honey Dip from Lee’s is unparalleled in its magic: the soft, chewy dough and the smooth, sweet glaze almost melt upon contact. 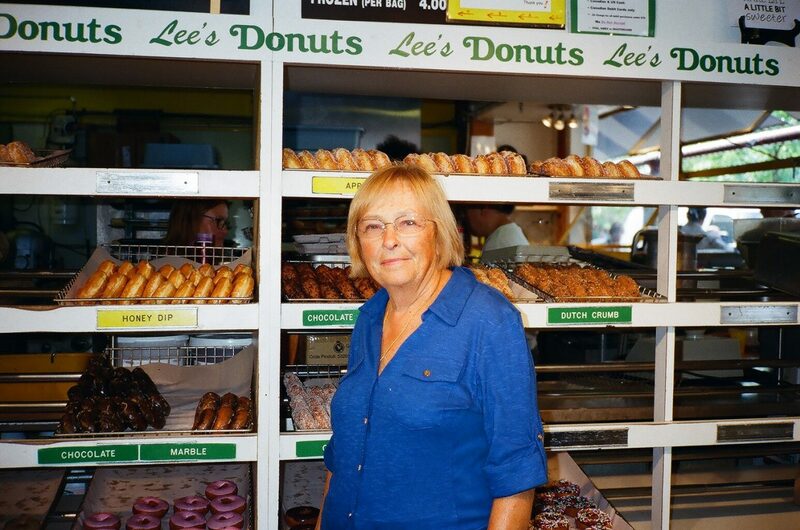 Lee loves being in the market because it is a “happy place,” and it’s hard not to credit her donuts as being a big part of that. UPDATE, January 2019: Lee’s Donuts is now under the ownership of the Bacani family from Armando’s Finest Quality Meats. Read the rest of our Meet the Market series.